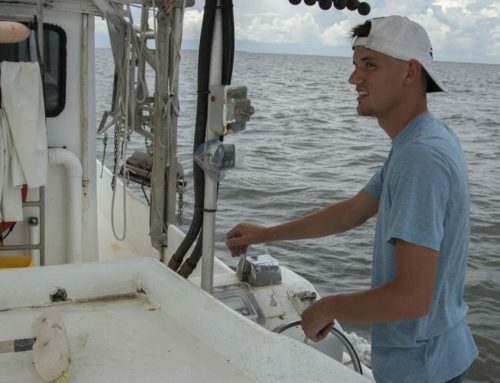 Scientists head out to the Gulf of Mexico every summer to measure the size of the dead zone—an area with oxygen levels that are too low to support most marine life. 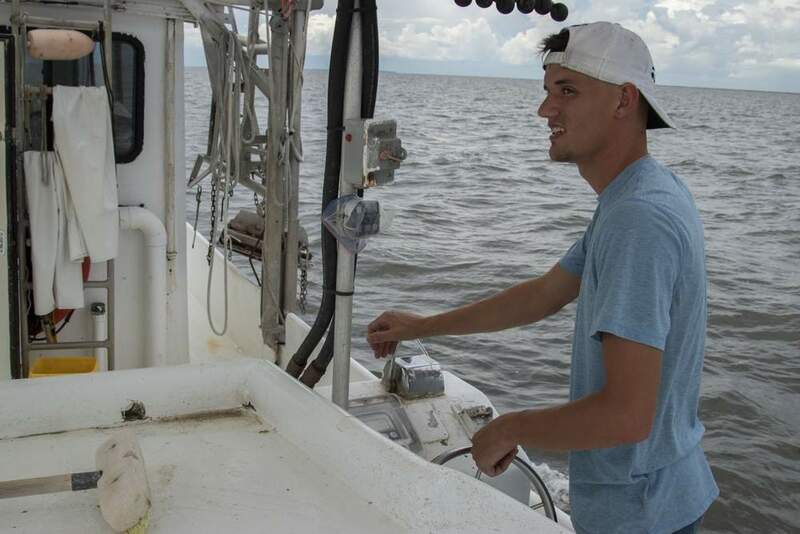 Scientists head out to the Gulf of Mexico every summer to measure the size of the dead zone—an area with oxygen levels that are too low to support most marine life. 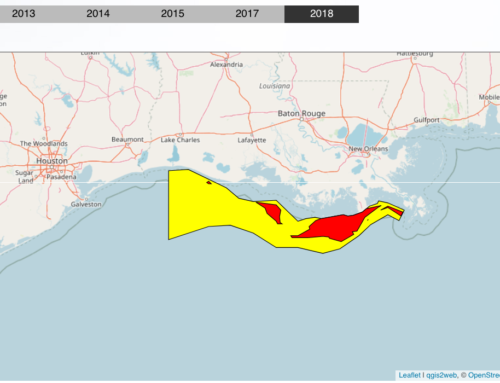 In 2014, the size of dead zone in the Gulf of Mexico has grown to 5,052 square miles, which is near the 5-year average but still much higher than the 1,900 square miles target set by the Mississippi River/Gulf of Mexico Watershed Nutrient Task Force. The dead zone forms in the Gulf of Mexico every summer as algae blooms die off and decompose. These blooms are fueled by nutrients such as nitrogen and phosphorous flowing out the Mississippi River basin. Bacteria that help to decompose the algae respire and use up valuable oxygen in the water column. The lack of oxygen can result in fish kills and harm other marine life. During the fall, colder water temperatures and strong winds act to mix oxygen back into the water column and the dead zone disappears. 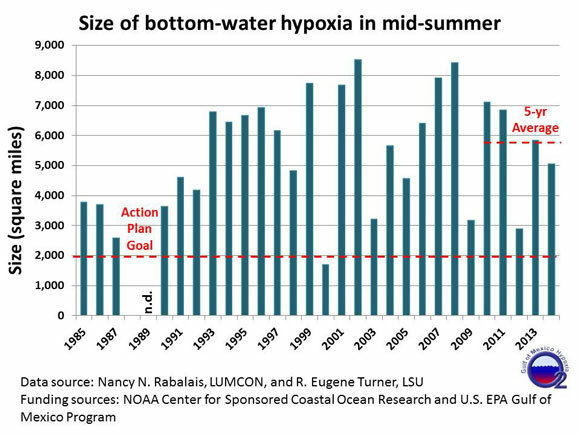 Scientists have been tracking the size of the Gulf of Mexico dead zone since 1985, and annual trends serve as an important gauge of how well efforts to reduce nutrient runoff in the Mississippi watershed are working. 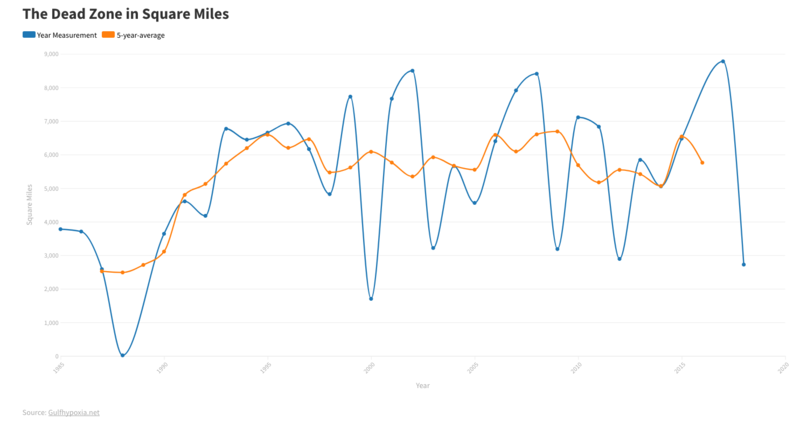 This year the Gulf of Mexico dead zone was estimated to be 5,052 square miles in size, which is approximately the size of the state of Connecticut. 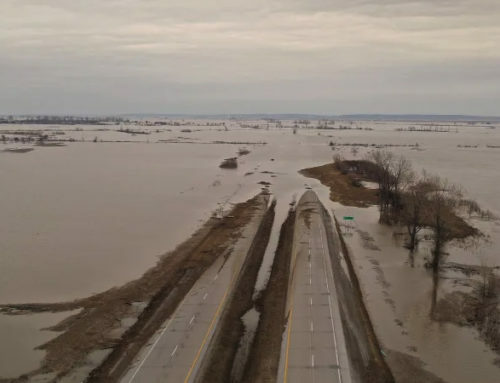 The size of the dead zone this year is near the 5-year average of 5,500 square miles, but it still much higher than the 1,900 square miles target set by the Mississippi River/Gulf of Mexico Watershed Nutrient Task Force. 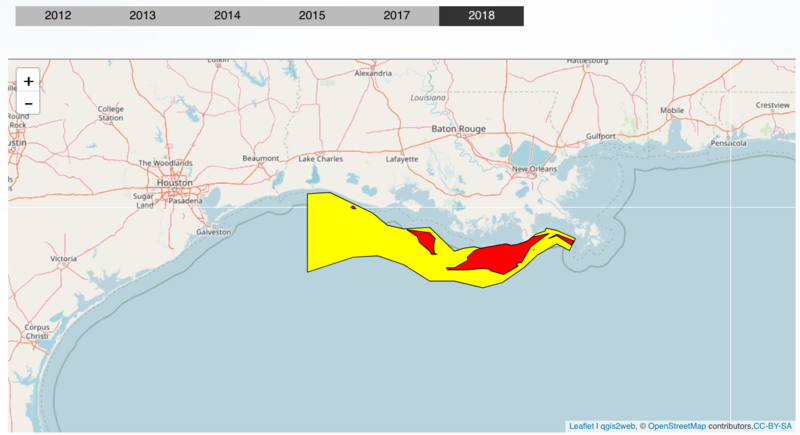 Size of the 2014 dead zone in the Gulf of Mexico. Image via LUMCON and Louisiana State University. The number of Dead Zones throughout the world has been increasing in the last several decades and currently totals over 550. 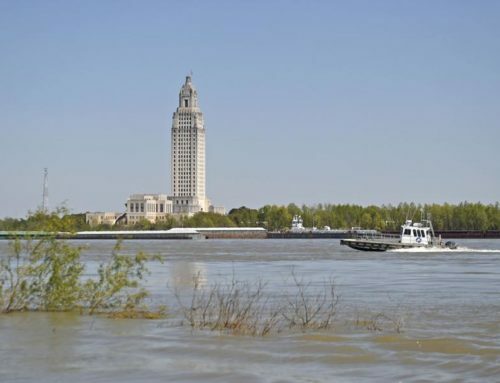 The Dead Zone off the Louisiana coast is the second largest human-caused coastal hypoxic area in the global ocean and stretches from the mouth of the Mississippi River into Texas waters and less often, but increasingly more frequent, east of the Mississippi River. 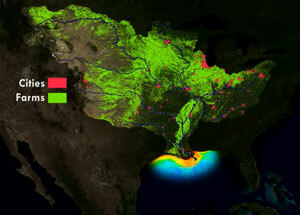 Efforts to reduce the size of the Gulf of Mexico dead zone are continuing and include activities such as installing vegetation buffers on farmland to reduce the amount of soil runoff, which is often laden with phosphorous, improving manure storage facilities so that nutrient-rich manure will not have to be applied to land during the winter when the frozen ground cannot absorb it, and restoring wetlands. 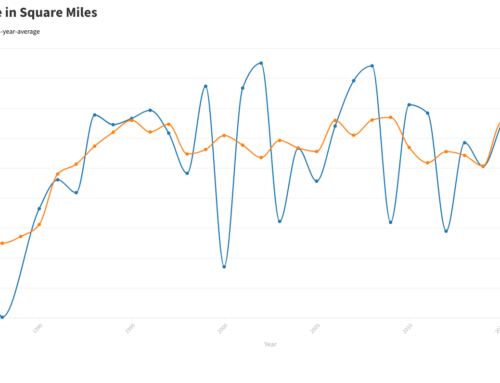 Annual trends in the Gulf of Mexico dead zone. Image via LUMCON and Louisiana State University. Funding for this year’s annual survey cruise was provided by the National Oceanic and Atmospheric Administration (NOAA) and the U.S. Environmental Protection Agency. 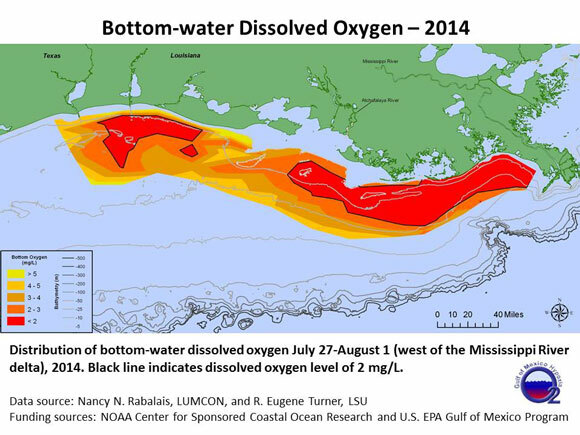 Bottom line: In 2014, the size of dead zone in the Gulf of Mexico has grown to 5,052 square miles. 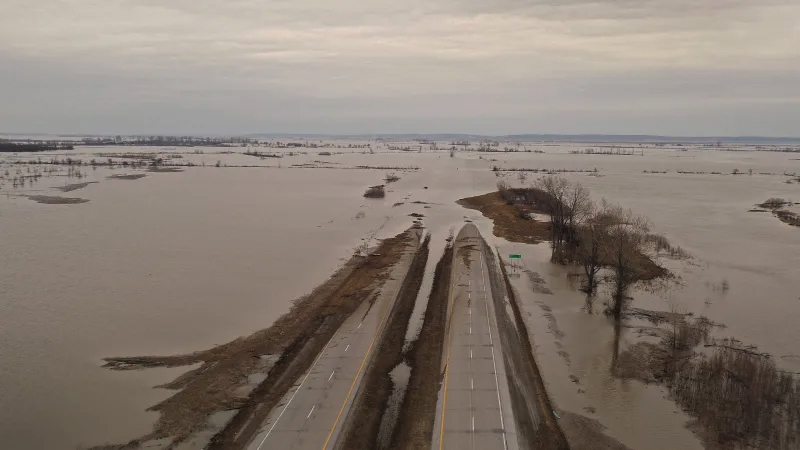 Additional efforts to control nutrient runoff from farmland in the Mississippi River basin will be needed to shrink the size of the dead zone to a target level of 1,900 square miles.